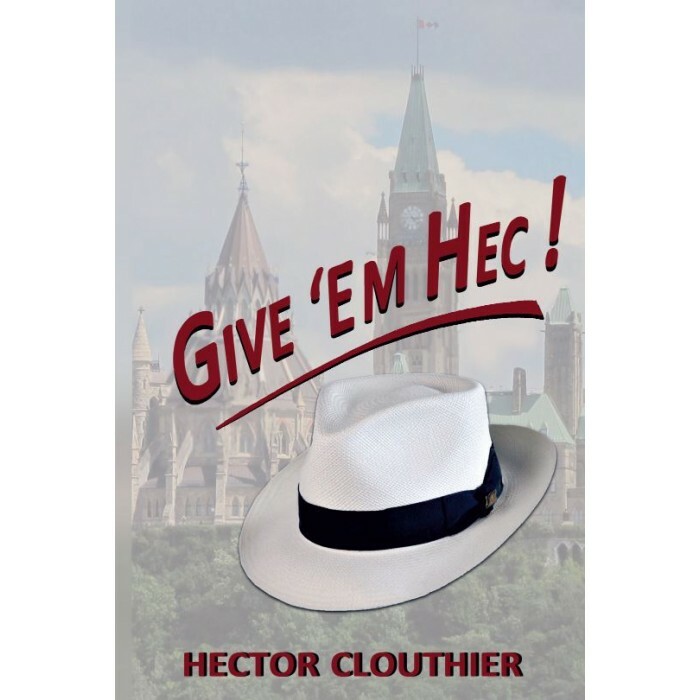 Hector ( Hec ) Clouthier was a maverick politician , a small man with a big hat and bigger ambitions . This book Give ' Em Hec ! is a dishy maverick's memoir full of horses and guns , fightin' and cussin' , grudges and treachery - great stuff to spill. There's lots more. Hec shot his first moose at age thirteen, ran 36 marathons , quit "" boozing "" in 1984 before things got messy , met Nelson Mandela , George Bush and the Queen , raced horses , adored his father and lamented the early death of his mother ,raised three sons with his spouse Debbie . Unmistakeable in his signature fedora, Hec was the memorable MP for Renfrew- Nipissing -Pembroke . Hector Clouthier was born and raised along with his five sisters and four brothers on the family farm outside the Ottawa Valley city of Pembroke , Ontario. During his lifetime Hector has been involved in farming , lumbering , horse racing and politics . He has served as a Federal Member of Parliament for Canada and as a Special Advisor to the Prime Minister of Canada. As a physical fitness advocate Hector's passion is marathon running . He ran his first marathon at the age of fifty-one and till now at the age of sixty -nine, Hector has run thirty-six full marathons including the legendary Boston Marathon five times . He has been described at times as being colourful , combative , captivating , candid and charismatic. Hector and his spouse Debbie of over forty three years reside in Petawawa , Ontario . They have three sons , Geoff ( Taunia ), Nick ( Rose ) , Tyler ( Kora ) and two grandsons , Chase and Kip . Vous commentez : Give 'Em Hec !